the hassle free way to get the test date you want guaranteed! More and more people are trusting our fast-track test booking service to get them that hassle free driving test! No-one has time to sit and wait for months for the next available test, so let us do all the hard-work! 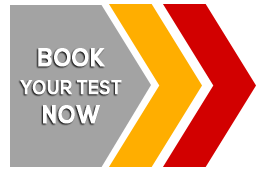 Our fast-track test booking process and how it benefits YOU! Are you looking for an earlier driving test date? CarCaptain guarantees that we will get you a driving test date much quicker and earlier for your driving test than what is normally available on the Driving Standards Agency (DSA) website. “Fast Track Guaranteed driving test booking service” is the ultimate bespoke answer for you, and has been a highly specialized and bespoke designer answer for many satisfied students who have passed their practical driving test successfully? The quick and easy way is four our fast-track driving test booking team to find your practical driving test at your chosen driving test centre. It is the hassle free approach to grabbing those driving test cancellations and getting you a test of your choice. You can simple call us on any weekday between 9am and 6pm on 0207 0991 232 or fill in the complete driving test cancellation list registration form online – Click here. We guarantee to find you a test on the day and at the test centre that you want, or you will get your money back! Book your Fast-track driving test now! Why choose CarCaptain’s Fast-Track driving test bespoke booking Service? The DSA website for practical driving tests currently has tests available at some centers for dates in excess of three months! Meaning extra lessons, and time wasted when you are ready to take your driving test. We have a dedicated fast-track test booking team who’s first priority is to find driving test cancellation dates for our clients on the dates that suit them and at the test centres of their choosing! We are not part of the DSA nor are we affiliated with them, we also don’t charge extra for your practical driving test! Our fees to find you an available driving test cancellation are based on the benefit of us finding you an urgent driving test sooner! Once we have established your test requirements, we will give you a clear breakdown of the costs involved of the fast-track test booking service. Benefits of our service over doing it yourself? Below is a detailed breakdown of how our fast-track test booking team work will work for you. Our professional team does the work, taking the effort and time you would spend trawling the DSA website away from you to find that specific date for you! We search on your behalf and only secure the test once you are 100% happy and have confirmed that it works for you and we have found the bespoke test for you. If you are doing a course with us and you require an instructor, we will always ensure the test date matches their diary to ensure there are no problems. information and the requirements of the test date and center you are looking for. booking team will start looking for a suitable driving test cancellation that matches your criteria. hours, minimum, to decide whether you wish to keep the booked driving test or not, otherwise that that driving test becomes available again. Usually you will have a day or 2 to make up your mind and check with your driving instructor or the nominated driving supervisor whether they are available to take you to the booked driving test. Step 4: When you are happy to accept the driving test booked, you will call us back to confirm or send us a text message in reply to the notification you received. If you have replied and accepted the test booked it will be locked down and confirmed onto your name. We will not lock down a test which you have not accepted and confirmed. Step 5: if there is still an outstanding balance on the account you will now make arrangements to pay this either by direct bank transfer, debit or credit card, PayPal or by calling the office. the DSA website hunting down a suitable driving test date! It is important to remember that if for any reason you need to cancel or move your test which has been locked-down onto your name, after you have confirmed it with us, You will need to be give us three clear working days notice (Saturdays are included, Sundays and public holidays are excluded) of the impending move or cancellation of the locked-down test. This requirement is based on the requirement which is imposed on Carcaptain by the terms and conditions of the Driving Standards Agency (DSA). If you fail to inform us, the full fee will still be payable, even if you do not attend the actual test. * Please note that CarCaptain is not part of the Driving Standards Agency (DSA), nor is Carcaptain affiliated with the DSA. Carcaptain driving instructors are Approved Driving Instructors (ADI) who are registered with the DSA and comply with the requirements that are set out by the DSA from time to time. The DSA manages the register for ADI’s and all aspects relating to practical driving tests. The DSA carries out the tests for Approved Driving Instructors and does periodically request full CRB checks and check tests on ADI’s. Please note that you can manually check for driving tests and make changes to your driving test date appointment at the DSA website, this is a free service offered by the DSA. DSA website Link. CLICK HERE TO VIEW OUR CARCAPTAIN REVIEWS!